Rampur hydroelectric power plant is located approximately 120km from Shimla, Himachal Pradesh, India. Image courtesy of Jaisinghpur. Being constructed on Sutlaj River, the Rampur plant will generate 1,770.68GW of electricity per year. Image courtesy of Sanyambahga. The hydroelectric power plant comprises 15km-long head race tunnel. Rampur power plant is a 412MW hydroelectric power plant under construction on the Satluj River in the Himachal Pradesh state of India. It is located downstream of the existing 1,500MW Nathpa Jhakri hydro electric power project (NJHEP), the biggest operating hydroelectric power plant in India. The Rampur hydroelectric power project (RHEP) is designed to utilise the desilted water of NJHEP and is expected to generate approximately 1,770.68GW of electricity per year. Himachal Pradesh is entitled to receive 30% of the power generated by the Rampur power plant on a bus bar rate basis, in addition to 12% royalty on the power generated. It is further entitled to receive electricity under the Gadgil formula as a member of northern grid state. The balance power will be allocated to the northern grid. Satluj Jal Vidyut Nigam, a joint venture of Government of India and the Government of Himachal Pradesh, is developing the project. The estimated cost of the project, as of March 2012, was INR 33.97bn (approximately $665m). The Rampur power plant is designed to work in tandem with the upstream 1,500MW Nathpa Jhakri project, and will comprise a head race tunnel, tail race tunnel, penstocks, power house, power evacuation system, and other components. RHEP will not involve the construction of a dam or reservoir or a de-silting chamber as it utilises the desilted water from NJHEP. Both the RHEP and NJHEP plants will run in tandem and will be operated by a Tandem Operating System (TOS) comprising a simulator for simulating the upstream and downstream hydropower plants. The discharged water from NJHEP is carried downstream through a 15km concrete lined underground head-race tunnel to the steel penstocks. The penstocks will have a diameter of 5.4m each and will deliver water to drive the six turbines installed in the powerhouse. "The penstocks will have a diameter of 5.4m each and will deliver water to drive the six turbines installed in the powerhouse." The powerhouse at Rampur HEP will be located at surface and is being constructed on the left bank of the River Satluj, near Bael Village. The power generated at the plant will be transferred to the northern grid by looping in looping out of the 400kV Jhakri-Nalagarh double circuit line at Duttnagar. The Rampur power plant will consist of six vertical axis Francis turbine units of 68.67MW each, supplied by BHEL. The turbines will have a speed of 214.3 rpm and will be operated with a net design head of 119.1m. "The plant includes six generator units having a power capacity of 83.93 MVA each." The plant pincludes six generator units having a power capacity of 83.93 MVA each. The Rampur power plant construction began in 2007 and is estimated to involve the use of approximately 300,000m3 of concrete, 133,000t of cement and 5,057t of structural steel. Conventional drill and blast method was applied for the tunnel excavation. The project is expected to become operational in 2014. The project will be finance through 70% debt and 30% equity. The World Bank provided $400m loan facility for the plant. BHEL was awarded a contract in September 2008 for providing the electro-mechanical equipment package for the Rampur hydroelectric project. The package includes provision of Francis turbines with matching synchronous generators, digital governors, microprocessor-based controls, monitoring and protection system, switchyard and 400kV GIS, and other associated equipments. The construction contract worth INR 8.06bn ($182m approximately) was awarded to a joint venture of Gammon India and Patel Engineering in February 2007. The contractual scope includes the construction of the head race tunnel, surge shaft, and the power house. 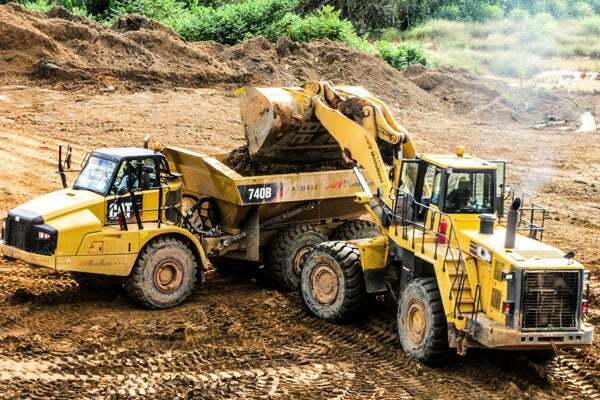 BEKK Solutions, the Indian contracting arm of the GBFC, was awarded a sub-contract by Gammon for conducting ground consolidation and grouting operations at the project site. BHEL awarded a sub-contract to Fitwell Power Projects, for material handling, erection and commissioning of Francis turbines, generators and control cables.